All digital marketing plans focus on the same things - efficiency and effectiveness. These tools will get you closer to achieving these business goals. So, you’ve decided to invest in your marketing strategy. Awesome. Next comes the challenge of determining which tools to invest in. After all, there are a ton of tools out there – and it can be tricky finding the right ones to help you grow and measure your unique business KPIs. Here’s a narrowed-down list of available web analytics tools, condensed to a handful of tried-and-true options marketers can count on to get the metrics they need. Buzzsumo is well-known for one of its free tools, which shows you how often a specific piece of content has been shared. It can also identify the most shared content of any given search term or topic. You can enter your own domain or the domain of a competitor to see a portion of the top performers, as well. In addition to evaluating the popularity of certain topics, you can use Buzzsumo to find influencers in your industry, get alerts based on your own specified criteria, and track competitor activities regarding content. Buzzsumo is a great companion for any robust keyword research tool to help you develop your content strategy and grow your industry network. If you’ve been waiting for a way to give yourself a running start in the social media game, this is it. 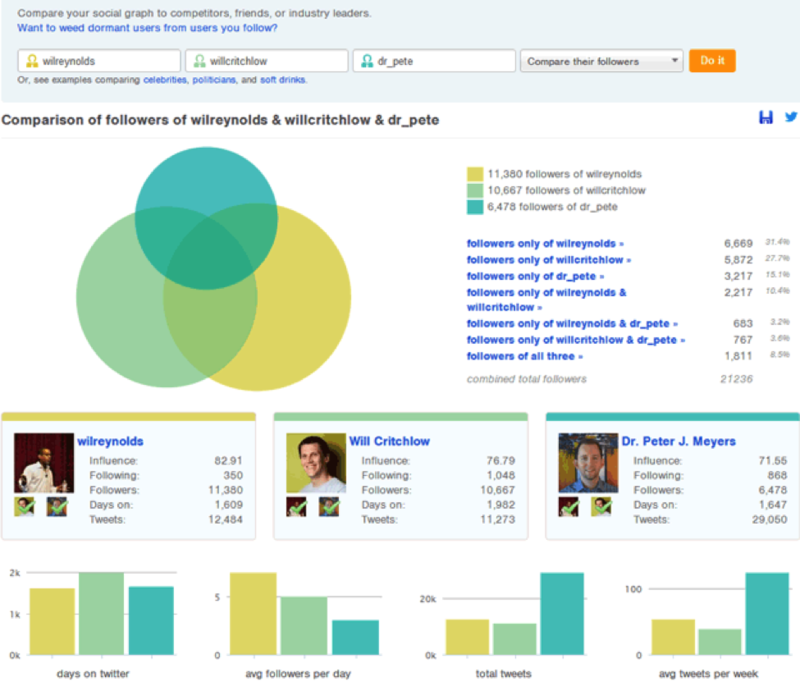 Followerwonk is a social media analysis tool that focuses on analyzing your competitors to show what they’re doing and if it’s working. Use Followerwonk to decipher what the most common hashtags are in your industry, as well as the best times to post. You can even see who’s following whom to help you decide who to target with your social media campaigns. Followerwonk is a simple yet invaluable tool that can help you significantly cut the time you currently spend (or should be spending) on curating your social media content. 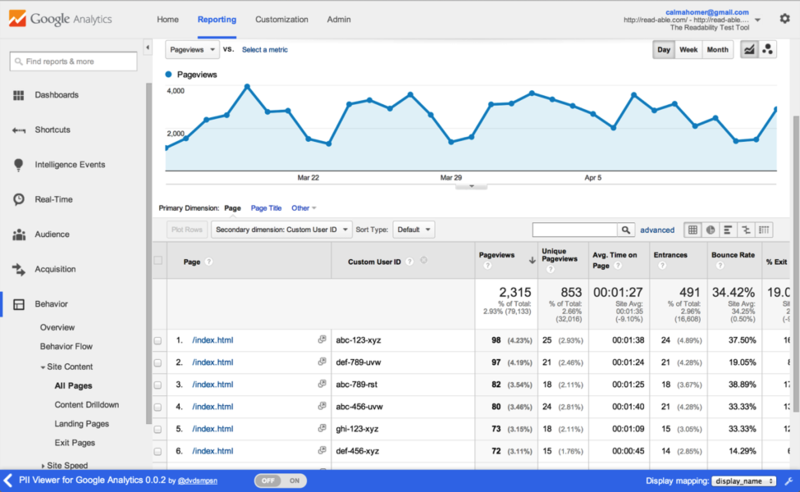 Google Analytics is one of the most robust analytics tools created for marketers and website managers. The possibilities are seemingly endless when it comes to what you can track in Google Analytics, and your metrics are presented in interactive reports that make deciphering your results a breeze. Google Analytics gives complete and comprehensive data about your audience in the form of demographics, activity on site, and source reports. You can track the path of a user through your website, find out the most common sources of clicks and conversions, and even see the interests of your visitors broken down by new versus recurring users – all at no cost. Simply put, Google Analytics is a robust tool that is often the stepping stone to many of the other tools on this list and beyond. Getting to know the strengths and limitations of this resource will help you understand the landscape of web analytics tools far better than you might think. 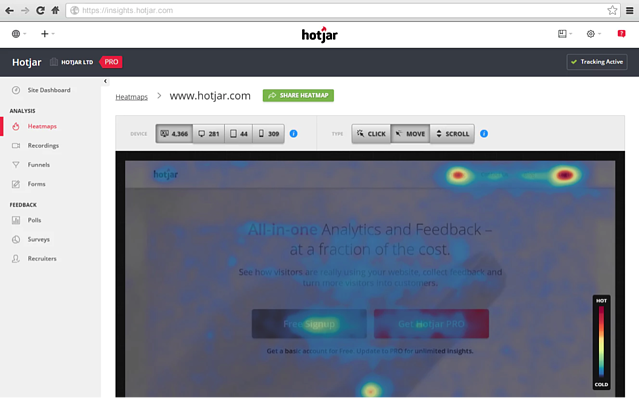 Named after its popular heat mapping tool, Hotjar takes the guesswork out of optimizing your pages for conversion. This tool makes it easy to see where your users are clicking, interacting with your pages, and generally spending their time on your site. This means you can build off of what’s working – and tweak what isn’t. Heat mapping doesn’t do it for you? Consider this – Hotjar also offers the option to record individual users on your site through an activity like onboarding. What’s more, you can even view analytics on your forms and hire user testers through the platform. Hotjar can be a powerful analytics tool to improve your site’s user experience and conversion rates. HubSpot is an all-in-one marketing automation platform. HubSpot may not do everything under the sun – but it does a lot. It offers a wide range of inbound marketing tools to help you manage all of your contacts, record user engagement across your website, monitor your social media accounts, and create reports to see the results of your efforts. For instance, HubSpot also offers multiple automation tools, including workflows, keyword research, on-page optimization, source tracking, reporting, blogging tools, and more. This makes it one hell of an inbound marketing platform. You can even build your site on HubSpot to glean powerful site analytics straight from the source. Also, the workflow tool is by far one of the most powerful. It allows you to automate both internal tasks and the process of moving contacts down the funnel from any stage. 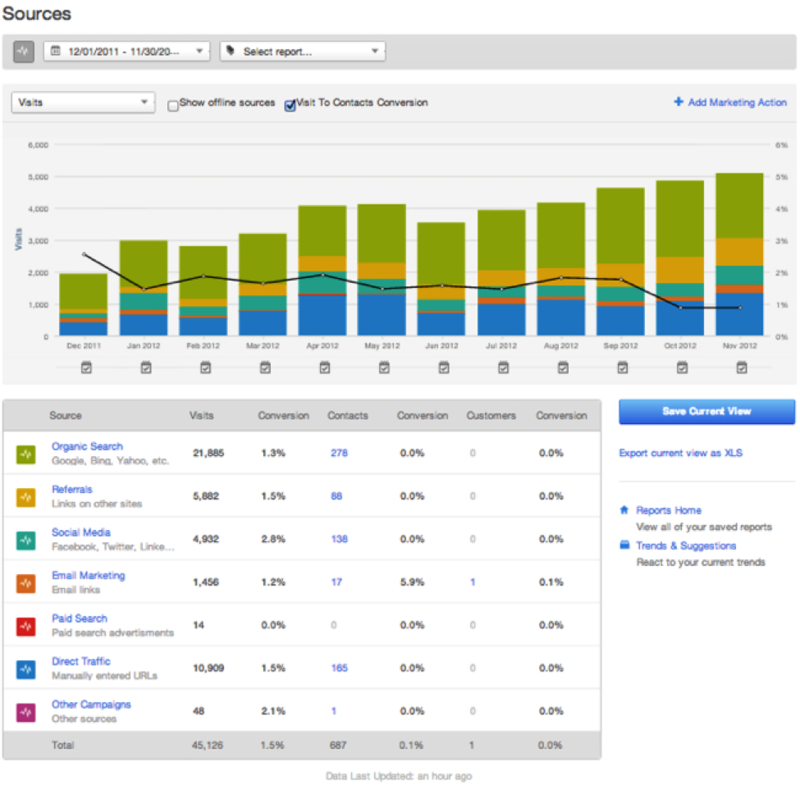 MixPanel is a well-regarded website and mobile analytics tool. 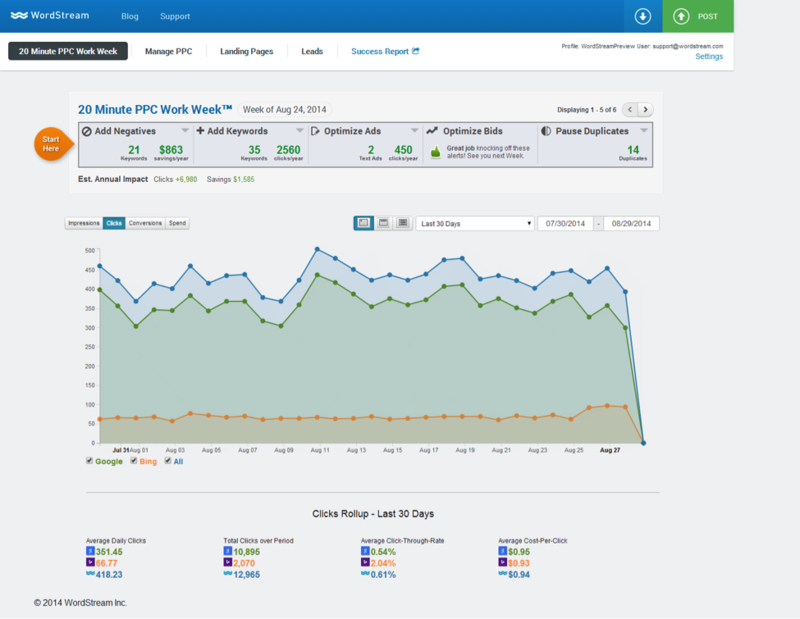 Unlike Google Analytics, MixPanel doesn’t focus on pageviews. Instead, it enables you to analyze the individual actions that are important to you as users complete them on your website. Although MixPanel measures all of the same metrics that Google Analytics does, it offers a more tailored approach to your analytics. 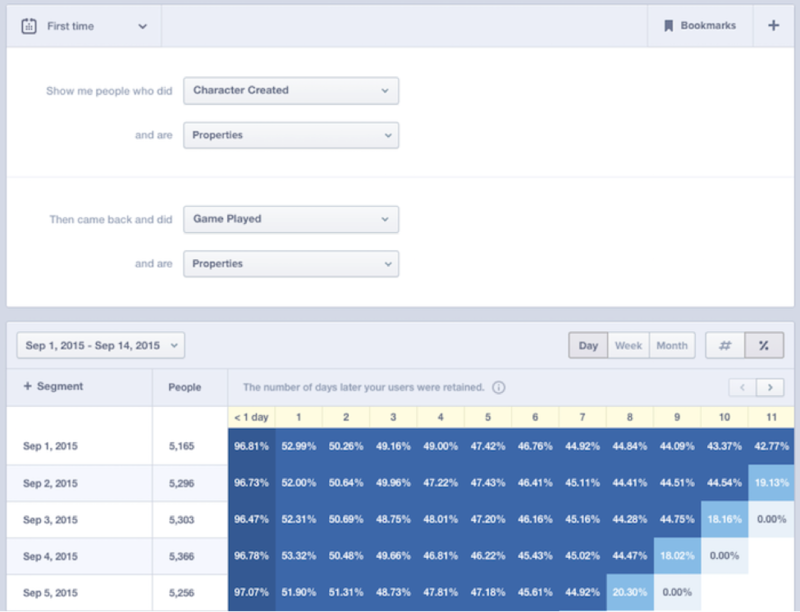 One of MixPanel’s most well-known features is its retention analysis tool, which lets you measure how effectively you retain your users (and which features are responsible for that retention.) In addition, this tool offers visibility into the most common properties amongst your most engaged users, so you can concentrate your efforts on similar, look-alike visitors. Moz Pro might just become your one-stop SEO toolkit. A wildly popular favorite of today’s marketers, Moz Pro allows you to dig deep into your own website analytics, as well as those of your competitors. 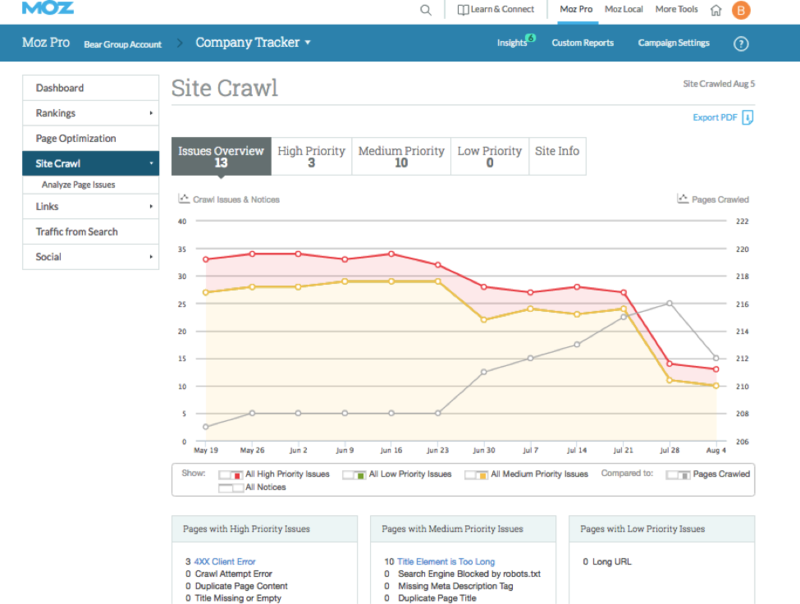 Use Moz Pro to see where your website is missing out on ranking opportunities due to broken links, poor keyword optimization, and more. Then, scope out your competitor's backlinks and jump on opportunities to piggyback off of other websites' authority. Outside of analyzing your own website and your competitors’ pages, Moz Pro lets you perform robust keyword research and analysis. Stay ahead of your competition and understand your target market on a whole new level with this tool. Wordstream helps you research keywords, launch PPC campaigns, and measure SEO improvements for your business. Marketers love Wordstream because it helps them optimize their spend on paid search to get higher quality leads and customers. Their trademarked “20 Minute PPC Work Week” is a godsend for busy marketers who need an efficient PPC and SEO strategy that allows the flexibility to build it on their own. Wordstream boasts a full staff of in-house PPC and AdWords specialists to help you navigate the treacherous and highly competitive arena that is paid advertising – all while giving you the flexibility to do it on their DIY platform. 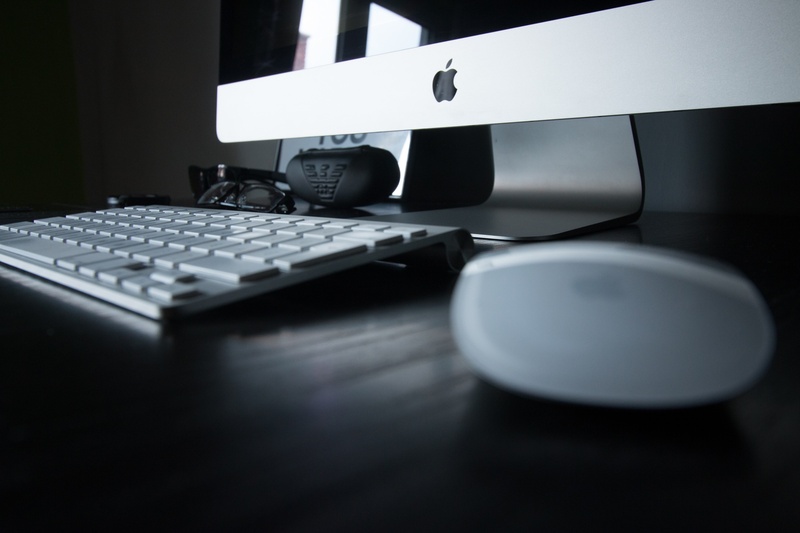 These tools are just a fraction of the many tools available to today’s marketers. While plenty of industry experts will express a diehard devotion to one tool over another, it’s important to keep in mind that no business is completely alike. What one marketer chooses to measure won't necessarily make sense for you. Before investing in a new platform or tool for your company, give careful consideration to the most important metrics for your business. Then seek out the tools that give you what you’re looking for – and then some. A tip from seasoned vets: Many platforms offer free trials to potential new users. Be sure to sign up for these offers when you actually have the time to dedicate to evaluating the product. Don’t waste a 7-day trial because you picked it up in the middle of a busy week. Sign up for a product demo or even two, and go prepared with specific questions about your business and how the tool can help you be successful in your industry. Additionally, keep up with the latest industry trends and always be on the lookout for a tool that offers a more cost-effective approach to achieving your goals. And be careful - if you don’t distinguish between “need to have” and “nice to have," marketing tools can end up costing you a pretty penny . Need help deciphering what metrics you should be focusing on? Let us know in the comments.